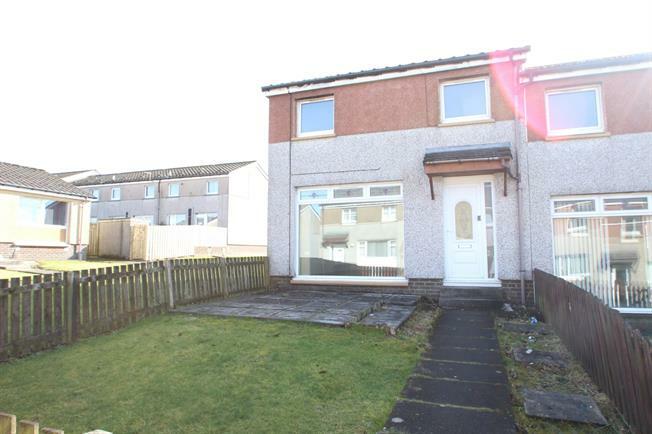 3 Bedroom End of Terrace House For Sale in Lanark for Offers Over £55,000. Enjoying an excellent position within Forth this sizeable end terraced villa offers spacious accommodation arranged over two levels. The pleasing layout includes: reception hall with under stair storage cupboard, front facing lounge and separate dining room leading to both the fitted kitchen and rear garden. The upper level provides landing area, in turn leading to three generously sized bedrooms and bathroom. The property does require a degree of upgrading and decoration though features wet electric heating and double glazing. There are garden grounds lying to both the front and rear which are low maintenance in nature. Easy access is offered to local Forth facilities and this property will prove popular with a variety of buyer types. Early internal viewing is essential to avoid disappointment.